A few snags, some veggies, tinned lentils and our premium quality curry paste; is all it takes to have this hearty, Madras Sausage and Lentil Curry on your family dinner table tonight. Heat oil in a large frying pan over medium-high heat. Cook sausages, turning occasionally for 8 to 10 minutes or until browned all over and almost cooked through. Transfer to a plate. Add onion and crushed radish to pan. Cook, stirring occasionally for 10 minutes or until softened. 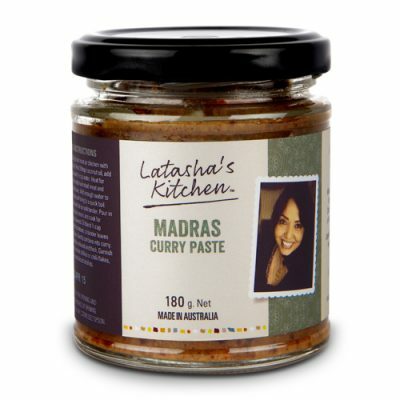 Add Latasha’s Kitchen Madras Curry Paste then cook, stirring for 8 minutes or until a thick paste forms and it’s very fragrant. 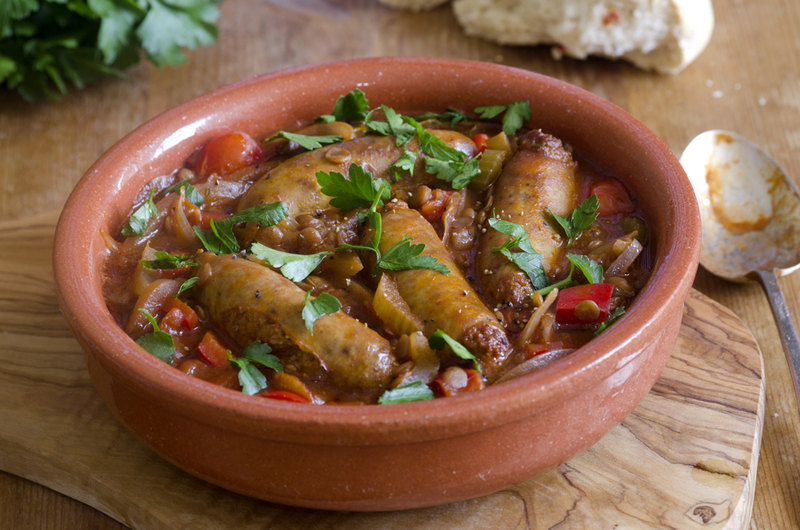 Thickly slice sausages into 3 pieces diagonally, add to pan stirring to coat in the paste. Next add tomatoes, lentils, water or stock. Bring to the boil then reduce heat to low. Simmer, stirring occasionally for 20 minutes or until curry thickens slightly. Add spinach and sliced red chillies to curry. Simmer for 5 minutes or until heated through. Stir in chopped coriander and squeeze lemon juice all over. Serve sausage curry with steamed basmati rice, coriander, yoghurt and cucumber or a fresh crisp salad.